WB Pavers is a family owned company with ten years of experience specializing in installation of Travertine pavers in Miami. We work with experienced and trained professionals to offer our customers the best Travertine pavers service. We offer our expertise in commercial and residential Travertine pavers installations, regarding the installation of Travertine patios and sidewalks. 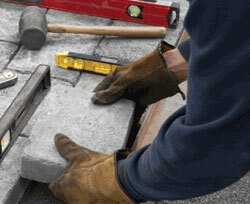 If you are looking for great Travertine Pavers prices in Miami, best professionals and honesty, think WB Pavers.